Democratic Sen. Cory Booker appeared to compare adopting the so-called Green New Deal with fighting the Nazi regime. Ocasio-Cortez’s original concept received support from Booker and other potential presidential candidates. 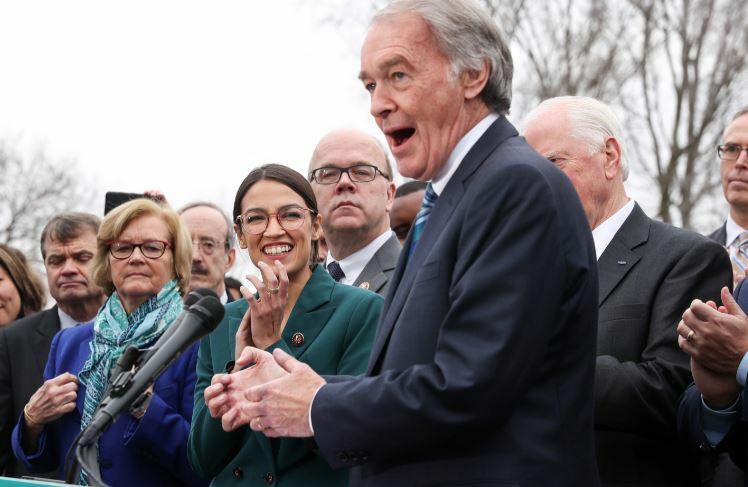 The updated version, however, which was rolled out Thursday morning, got only tepid support from Speaker of the House Nancy Pelosi, who called the idea a “green dream” Wednesday.